This post is part of a virtual book tour organized by Goddess Fish Promotions. Gledé will be awarding an Italian leather journal to a randomly drawn commenter (US/Canada Only) during the tour. Click on the tour banner to see the other stops on the tour. The question of negative criticism can be quite scary, paralyzing even, especially for new writers. I was petrified of this even before my novel was published, wondering what kind of reception Conspiracy of Silence would get. The self-doubt is always more than happy to express its opinion: What if readers hate it? What if the reviews are bad? How do I overcome the feelings of failure without throwing in the towel? Criticism is part of life and it’s no different for the writing life. You simply have to accept that no matter how great the writing, plot, characters and dialog are, there will be people who just won’t like your work. It’s an inescapable fact. Sometimes the criticism is legitimate, other times you’re left scratching your head wondering if this person actually read your work or have you confused with another writer or worse yet, you want to scream because they completely missed the point. Whatever the reason for the criticism, it’s important to remember that there can be hope in criticism. You need to figure out what nuggets of gold you can extract to spur your writing to the next level, and what should be ignored because it’s completely lacking in thoughtfulness, insight or analysis you can learn from. Examine the merits of the criticism, figure out what you would change if you could go back and do so. Look at writers you admire and see how they deal with those elements of your work that could use improvement. If you’re serious about being a writer, the next book, or the next writing project is an opportunity to improve. Step out of your niche/genre as well. There is something to be learned. The story may not appeal to you but the technique might or the tightness of the prose for example. In the end, you can’t please all the people all the time so you can only hold up your end of the deal by becoming the best writer you possibly can. 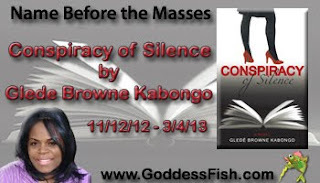 Gledé Browne Kabongo began writing at age 14 when she covered soccer matches for her hometown newspaper. 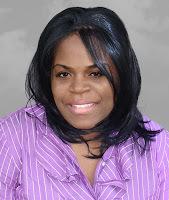 She has also written for the Patriot Ledger and Metrowest Daily News, two Massachusetts based newspapers. She earned a master’s degree in communications from Clark University, and once had dreams of winning a Pulitzer Prize for journalism. These days her dreams have shifted to winning the Pulitzer for fiction, and a Best Screenplay Academy Award. For the past decade, Gledé has worked in senior marketing roles for organizations in the Information Technology, publishing and non-profit sectors. She lives in Massachusetts with her husband and two sons. It is tough to put yourself out there. Now with everyone writing things and posting them it is even more difficult. Congrats on your writing. I don't take criticism very well.